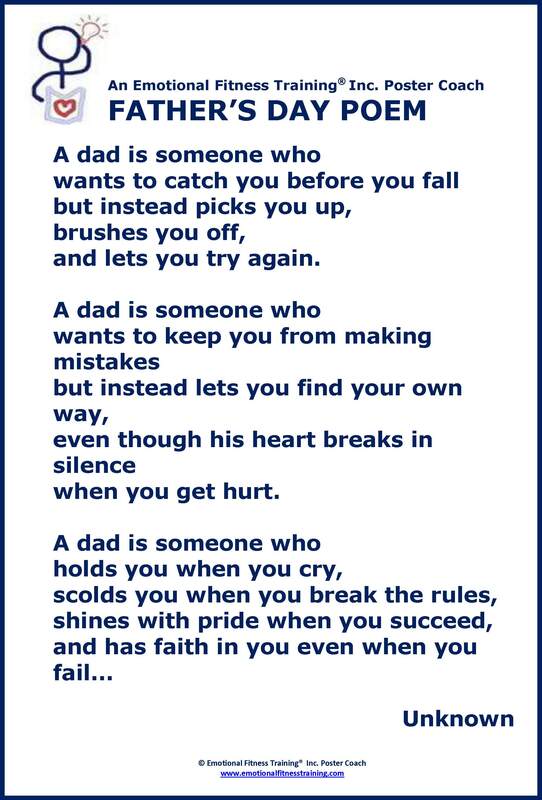 This entry was posted in Parenting Issues, Self Care and tagged Aussie Father's Day, Emotional fitness, Emotional Fitness Training, Emotional Health, Life, parenting, poem, Thinking about what matters. Bookmark the permalink. I was lucky to have a Dad like that. What a great poem.